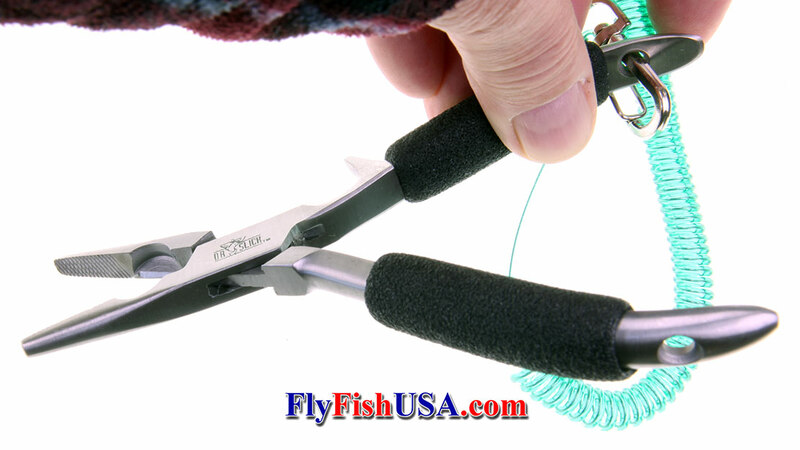 Dr. Slick Chain Nose Pliers, 6" Stainless steel angling pliers. 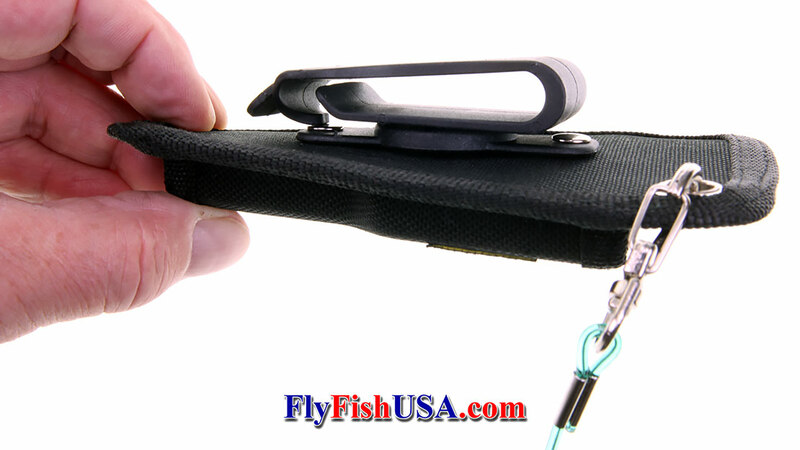 Dr. Slick Chain Nose Pliers, 6"
A great companion on the flats or any salmon/steelhead river. Satin finish stainless steel with padded Neoprene synthetic rubber padded handles for gripping comfort. Long medium width tapered needle nose and sharp edged teeth give these pliers exceptional grip for reshaping or removing hooks. Convenient 6" size. Comes with bungee lanyard and secure holster. 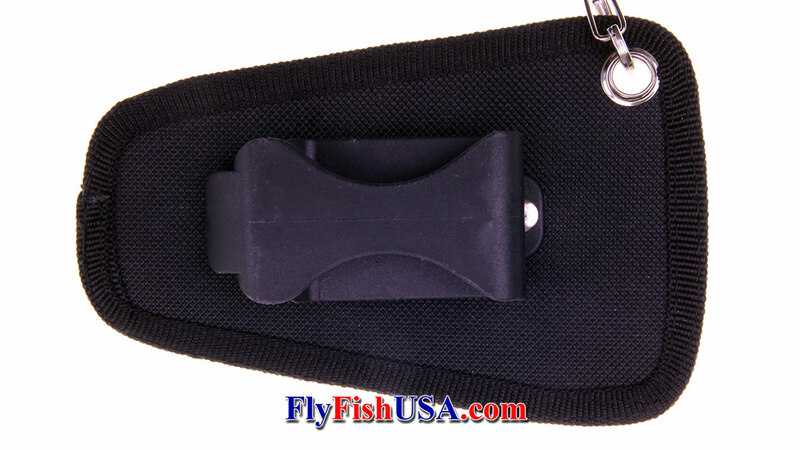 Handy hard plastic swivel holder securely keeps this heavy duty nylon sheath in place on any belt or suspenders up to 2-inches wide.